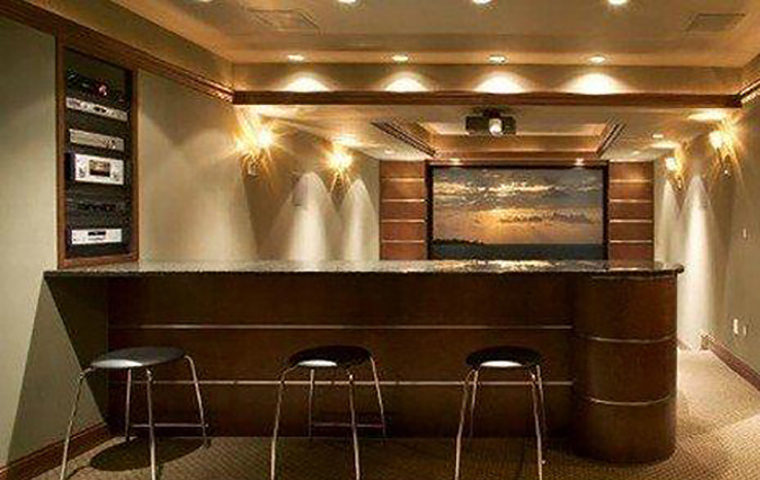 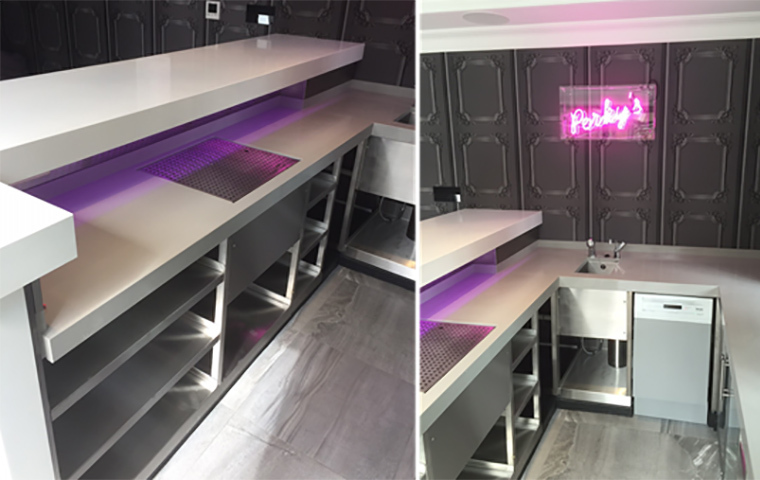 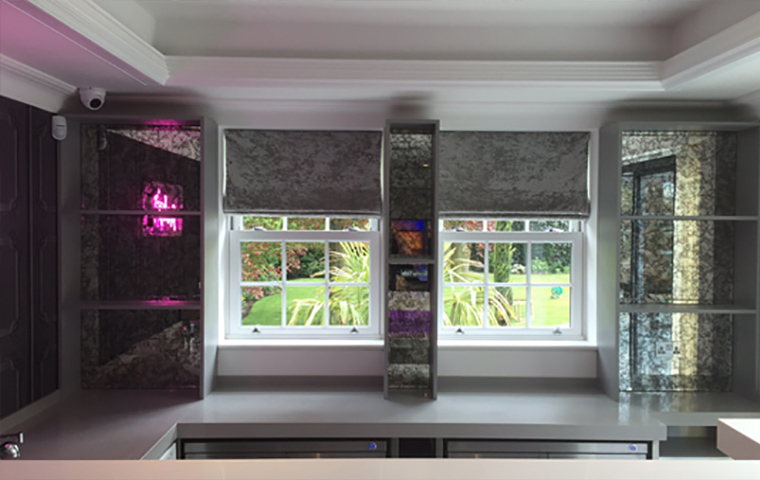 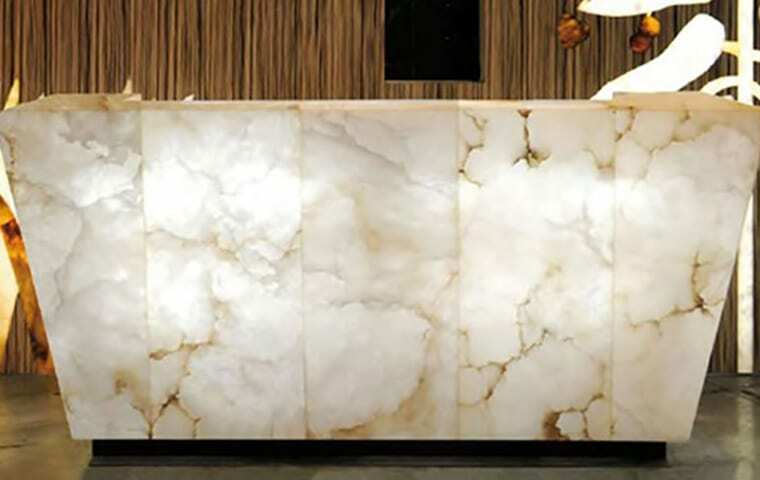 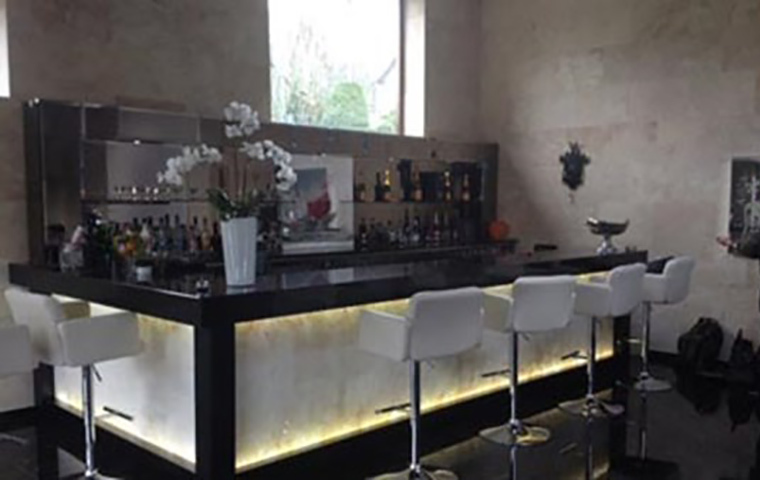 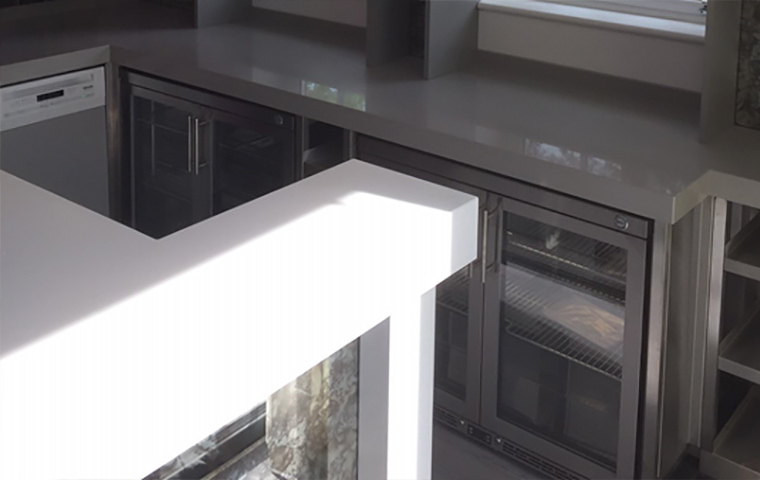 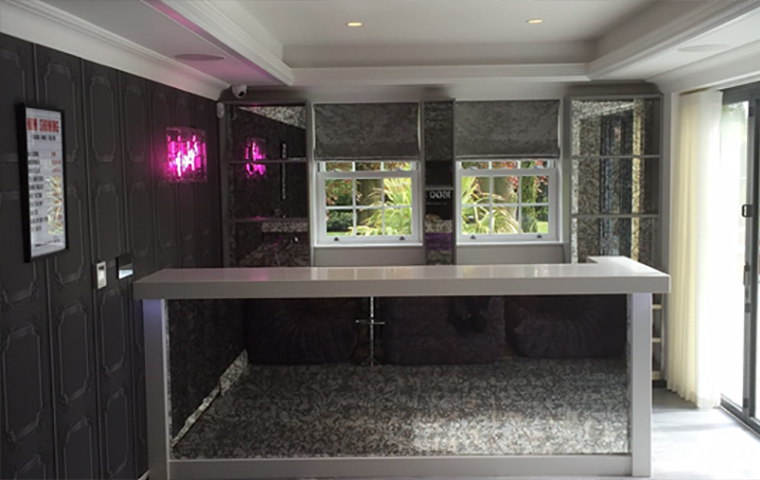 This fabulous silestone bar was designed and installed for our client to cater for friends and familiy all year round. 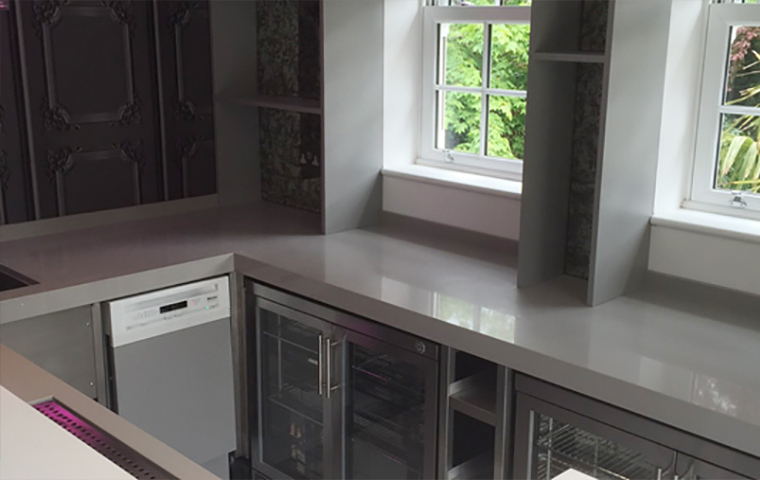 The high durable silestone bar top was complemented with an antique glass frontage which elongated the room to maximum effect. 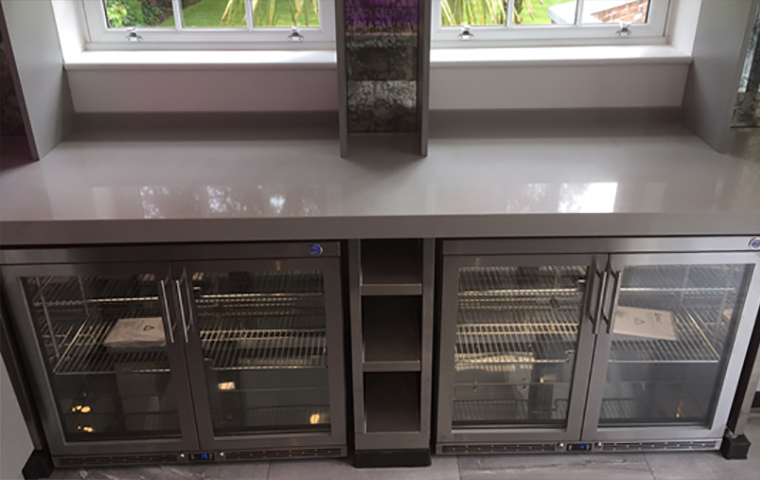 We also fitted out the back bar display with the same antique glass to match the bar style. 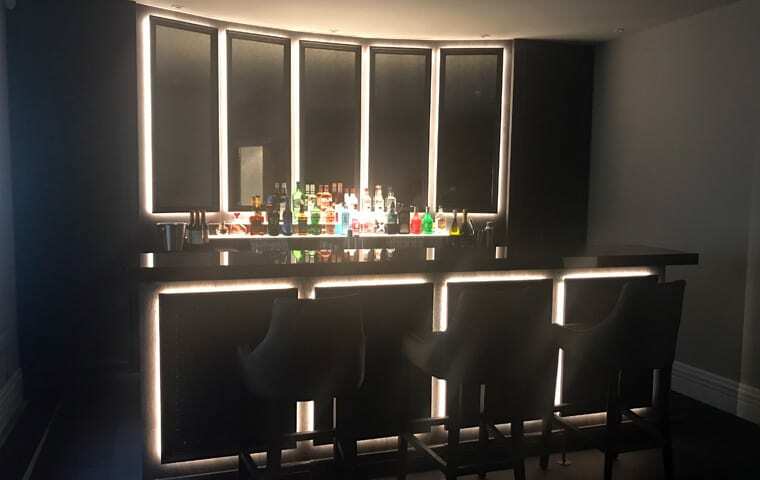 The bar was dressed with an LED colour changing light system which lit-up the bar area in the evenings.